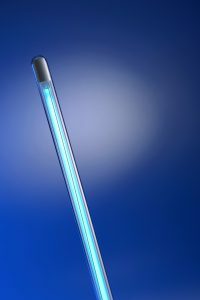 Which Indoor Air Quality System Would Fit Your Needs Best? Indoor air quality tends to suffer during the summer, as people shut themselves indoors and seal their houses to help better maintain climate control. However, just because you’re indoors running your air conditioner, doesn’t mean you need to have poor indoor air quality. 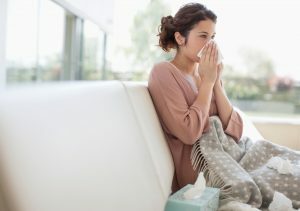 There are a lot of different ways that you can go about keeping your indoor air quality high during the summer season. One of the most popular is installing an indoor air quality system. 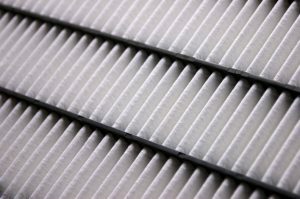 Posted in Indoor Air Quality | Comments Off on Which Indoor Air Quality System Would Fit Your Needs Best? As we get further into summer, it’s important to make sure that your home’s air quality is as high as possible. Poor indoor air quality will not only make it harder for you to remain comfortable, but can adversely affect your health as well. There are a number of different ways to make sure that your indoor air quality improves or stays high during the summer. One of the best ways, though, is to install an air purifier. Let’s take a look at why air purifiers are important, and how different types can benefit you this summer. If you’re at home right now, take a moment to breathe deeply and think about what’s in your air. Does it seem clear, or is it a little stuffy? Whether or not you think the air in your home is clear, you should know that the average home’s air quality is actually quite low. Microscopic airborne contaminants make quite a negative impact on the air quality of most homes, causing sickness and general discomfort throughout the year. The good news is that there is hope for your home’s air quality. Installing an indoor air purifier is a great way to improve your indoor air quality. Indoor air quality should always be a concern when it comes to your health and comfort. Though the air in your home may look clear, chances are it’s actually not. The average home is infested with millions of microscopic airborne contaminants, including dust, pollen, dander, viruses, bacteria, and mold spores. Prolonged exposure to these various airborne contaminants can cause all kinds of issues, from allergy attacks, to the flu, to asthma. This is why it’s a good idea to install an air purifier in your home. Let’s take a look at some of the more common air purifiers that can help you this summer. With summer just around the corner, you’ve probably already made sure that your air conditioner is in good enough shape to cope with the added stress. However, have you made sure that your duct system is just as ready? The ductwork of a home has a huge impact on the efficiency of your climate control systems, as well as the overall comfort of your home. Read on to find out more about why duct sealing is necessary. When you think about possible threats to your health and safety in your home, you probably think about things like fire or gas leaks. While it’s a good idea to be prepared for those kinds of things, you should also make sure that you have some carbon monoxide detectors in place. Carbon monoxide is a deadly threat that is incredibly difficult to detect, making it all the more important to properly prepare. Read on to find out more about carbon monoxide, and carbon monoxide detectors.